To provide training and Bible study resources to Christians – especially of, but not limited to, the Greater Houston area – so that they may be fully equipped to do God’s work. To see the churches and ministers of the Greater Houston area equipped for the work of the ministry of the body of Christ and built up to the unity of faith through skillful and joyful study of the Bible. Bite-Sized Exegesis has one goal: to improve biblical literacy so that the Church can more effectively be the Church. When biblical literacy is weak, Christians have more difficulty distinguishing between Christ-likeness and worldliness, setting godly priorities in their personal lives, and living joyful and victorious lives. When biblical literacy is weak, the Church finds itself vulnerable to a spirit of divisiveness. But the greater our overall level of biblical literacy, and the greater our love for Bible study, the more effective we can be as a body in our Kingdom work, the more joy and peace will fill our hearts and minds rather than anxiety and turmoil, and the more unified we will become as a body of Christ despite our disagreements. During his years working in Christian retail and teaching in churches, Dr. Lee came to the realization that biblical illiteracy is a crisis in the American Church, and the methods we have relied upon to solve this crisis aren’t working. Pastors and pastoral staffs find themselves stretched to their limits as things are with their organizational and counseling duties. Moreover, while some ministers have advanced biblical education, many American ministers may not themselves have the kind of biblical training required to effectively teach their parishioners how to study the Bible for themselves. In short, American pastors cannot solve this crisis on their own – they need help! The growth of online education options from major Christian seminaries is all well and good, but the majority of American Christians are never going to be able dedicate the time and/or the money to take advantage of these options. Plus, with higher education in America in a state of crisis itself and with its future uncertain, we cannot rely completely academia to solve this crisis, either. There do exist other training programs for churches, like MinistryGrid by LifeWay. But these programs often focus on leadership and administrative training – the nuts and bolts of running a small group. But this is very different from the nuts and bolts of reading a biblical text, breaking it down into its parts and studying these parts, utilizing commonly available reference resources, and prayerfully synthesizing all of the resulting data into something that is meaningful and impacting for someone living in today’s world. This is where Bite-Sized Exegesis comes in. We provide expert training and guidance to pastors, churches, and individuals who find themselves frustrated with their personal Bible study. Our strategy is to focus on the fundamentals: attentive reading habits and skillful use of all available resources. To this foundation we can then add customized layers of increasingly specialized Bible education. And this is something we are uniquely equipped to do by our background in academia, in the Church, and in Christian retail and publishing. 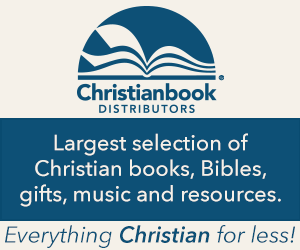 To provide training and Bible study resources to Christians - especially of, but not limited to, the Greater Houston area - so that they may be fully equipped to do God's work.